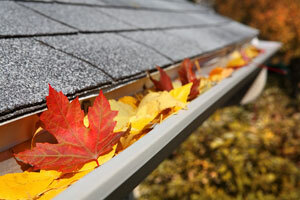 Like many homeowners, cleaning your gutters is probably one of your least favorite chores. After all, who enjoys climbing a ladder to scoop out soggy leaves and twigs? If you’re finally ready to put a stop to the endless task of cleaning out your gutters, turn to the professionals at 31-W Insulation for a gutter system from Spectra Metals. It’s important to remember that Spectra’s gutter systems will only perform as promised when they’re properly installed. To ensure that your gutters channel water away from your home as efficiently as possible, be sure to entrust their installation to the experts at 31-W Insulation. In addition to a number of practical benefits, Spectra’s gutters can also improve your home’s aesthetic. Their gutter systems are available in more than 20 stunning colors, and one is sure to perfectly complement your home’s design while reflecting your unique style. To learn more, contact us today and schedule a complimentary consultation. Be sure to ask about our other home improvement services, including the installation of closet organizers, bathroom mirrors, garage doors, attic insulation, and more. We proudly serve homeowners in Alabama, North Carolina, Oklahoma, Indiana and throughout the South and Midwest.